How do we solve a problem like Altior? Punters will be scrambling around for any kind of tip to go against the huge Cheltenham Races favourite. Rather than waiting for someone’s Nan to give you a tip on the train, let’s take a walk through the field at the ante-post stage. You will see the term “won unchallenged” a lot when researching Altior. His form is unparalleled, and nobody can get near him. Most recently, Altior scared off all rivals before the off, only needing to beat two rivals. It was a similar story in the Tingle Creek at Sandown in December when only facing three rivals. The biggest name of note, Un De Sceaux, tried to take the race away from Altior and looked possible until Nico de Boinville asked only a little and Altior cruised past. It’s extremely hard to make a case against Altior. Until the Leopardstown meeting at Christmas, Footpad was being seriously talked about as a Gold Cup contender. He fell at Naas in November when already beaten by Saint Calvados that day who has since been annihilated by Altior. The form hasn’t exactly been franked. We did see Footpad again over the shorter trip suggesting the Gold Cup is no longer a consideration. However, that trip out at Leopardstown only resulted in second to Simply Ned, in what was a poor field. The market suggests this is only a blip. Min was beaten 7 lengths by Altior in this race last year but has been prepped well coming into Cheltenham. Min has had both Shattered Love and Ordinary World behind when winning his last two outings. Min is currently the ante-post favourite for the Ryanair Chase the following day and seems more likely to race there. Depending where Min goes, Un De Sceaux is likely to go the other way. Ruby Walsh put it up to Altior in the Tingle Creek in what was a very good run but couldn’t get near the favourite that day. Un De Sceaux represents great each-way value and is likely to run the steam of all competition – aside from Altior. Sceau Royal has also been recently dispatched by Altior and has a lot to do to reverse the form. A fantastic horse in his own right but not the calibre to get near Altior. Attractive each way money on offer but a lot to do. The same description applies to a whole host of hoses at the lower end of the market. Fox Norton was trounced by Cyrname’s epic win in the Betfair Ascot Chase on Saturday and is likely to be a repeat when following Altior home. Also holds an entry in the Ryanair. I know where I’d rather be. Followed Fox Norton home in the loss to Cyrname. Another than shouldn’t get near and has an entry in the Ryanair Chase. An intriguing entry. Last seen beating Footpad at Leopardstown over Christmas yet we see Footpad at 5/1 here. Straight line form says good place money on offer but is an inconsistent sort who was beaten by Sceau Royal, Min and Fox Norton in 2018. If Footpad’s dip in form is a blip, not to be considered. It’s hard to see a challenge from the outsiders of the current market. Ordinary World, Diego du Charmil and Saint Calvados all represent horses of calibre but nothing near what’s required to mount a serious challenge here. Lady Buttons arrives in terrific form but hasn’t beaten anybody of note over the larger obstacles. Odds correct as of 11th Apr, 13:27 . Odds are subject to change. 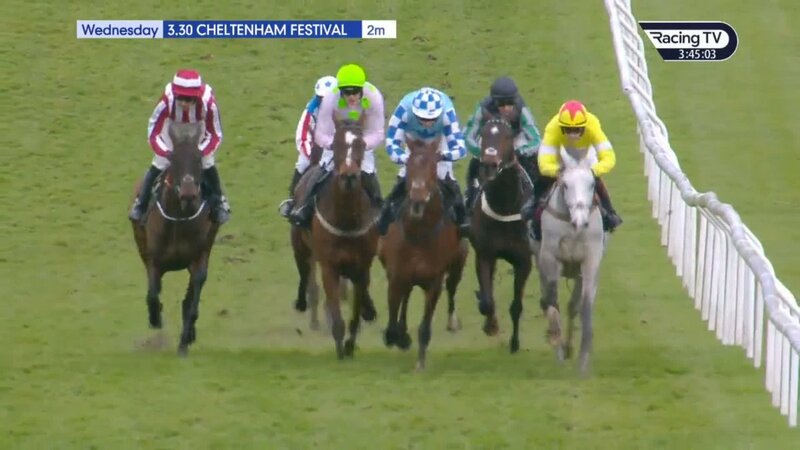 A detailed list of beaten horses from the 2019 Cheltenham Festival That Can Still prove To Be Top Class Horses. A full rundown of the 5 major talking points from the Cheltenham Festival, including Willie Mullins and Noel Fehily. Cheltenham Gold Cup Runners 2019 - Make your selection for the Cheltenham Gold Cup, which takes place at 3:30pm on Friday 15th March.